We all know the benefits of a good nights sleep. 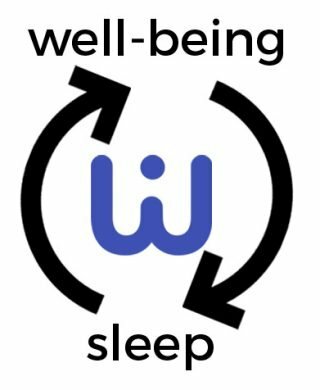 Here at WooWoo we also believe that well-being practices and quality sleep go hand-in-hand in a virtuous cycle. The more regularly we look after ourselves, the better we sleep , the better we feel, the better we sleep. and so on. The benefits of a good nights sleep have been well documented – from memory consolidation, muscle repair, to clearing the body of toxins. For most of us, a good nights sleep will also increase alertness in the day (whether at your job, or as a student) and also enhance creativity for your other projects and hobbies. Here we propose yoga, meditation and some alternative therapies that may help either the length or the quality of your down time. Yoga leads to less stress and less anxiety. It is also well known that if we are less anxious and stressed then we sleep better. In particular , the practice of yoga postures is associated with an increase in GABA – a neurotransmitter that you can think of as the bodies natural ‘anti-anxiety’ chemical. It’s no wonder that GABA is found in many over the counter drugs to regulate mood and sleep. A sceptic may say that the same could be achieved by any light form of exercise – yet interestingly the same 12-week long study showed that those who did regular yoga had significantly more GABA than those who walked instead of yoga before bed. There are of course the traditional ways to get more sleep: a dark room, cool temperature, blocking out all sound, magnesium supplements, a good mattress and turning off the electronics before bed. However, there are plenty of instances where this may not be possible for us. For example, travelling on business, staying with friends or we may need to check our phones before bed for valid reasons. The great thing about yoga postures is that you can do them almost anywhere. Here are 4 poses that will help you sleep deeper. These can be done just before bed (we recommend a few minutes of each) and have the added benefit of improving our flexibility at the same time ! Part of the reason why meditation helps improve sleep can also be explained by the reduction in stress and anxiety. In particular, the chemical Cortisol is often noted as a biomarker of stress. A recent study titled “ influence of mindfulness practice on cortisol and sleep in long-term and short-term meditators” found that both long term meditators and novices displayed reduced cortisol levels , whilst sleep was significantly improved. Interestingly the novices had only completed an 8 week introductory MBSR course which goes to show how quickly results may be seen. Additionally, another study found that mindfulness practices used during the day have also been associated with better sleep quality. Our favourite study was of 49 adults, one group who practiced mindfulness vs. a control group who took a dedicated course of improving sleep. The meditators actually showed less fatigue, lower depression and less insomnia ! For us personally, we find that an evening meditation helps quieten the mind chatter and slow down the loop of thoughts that otherwise occur when we get into bed ( the “why did she say that?! or “I could have done this!”) thought process. That begs the question – how do I do it? The key is to trigger the relaxation response. Just close your eyes, bring your focus to one point (your breath, count down from 100 or being grateful for something in the environment). You could also try listening to the following youtube video by Richard Miller before bed. Here at WooWoo we’re all about expanding our horizons. We’ve also found that some of our best nights sleep happen either after something a bit more adventurous – an ecstatic dance event, a floatation tank experience or an acupuncture session. There is something blissful and restful about triggering the yin aspect of our busy (yang) lives. Although the research is still ongoing, its quite clear that wellbeing practices can have a positive impact on many aspects of your life, including the length and quality of your sleep. If you are interested to find out more please do contact us !